The Hungarian Association of Arboreta and Botanic Gardens (HAABG) is a non-profit civil organization. It was founded in 1992, following the transition of the political regime in Hungary. 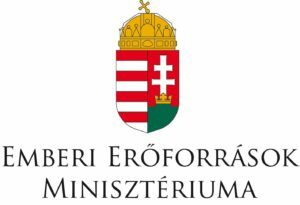 It has already been successfully engaged in multiple technical and stakeholder issues representing the interest of its members and the profession for 25 years in order to revive living plant collections and historic gardens in Hungary and to promote professional co-operation among them. In addition to its 46 member institutions it can boast with some 100 professionals among its members. Member gardens of HAABG cover altogether more than 1000 hectares where they house some 20 000 native and exotic plant species/varieties in their field and greenhouse collections. Almost 70 % (483 species) of native plant species protected by Hungarian law are on display and/or involved in conservation activities in at least one of our member institutions by doing so they play a key role in the ex situ conservation of protected/endangered species. Furthermore, 80 % of our member gardens themselves are nature conservation areas, as well. At the same time, almost the third of them are listed built heritage. Therefore, our Association is also the biggest professional civil organization embracing historic gardens in Hungary. Activity of member institutions either as individuals or in the frame of the association covers the maintenance and development of living plant collections and gene banks, including that of the gardens hosting them and all related infrastructure. The rich collections of our gardens allow botanical, ecological, conservational, etc. research with special respect to ex situ conservation of endangered plant species. It assists education (from kindergarten age to university and postgradual training, respectively) as well as environmental education and getting to know the world of plants. Our institutions also play a major role in conveying horticulture and protecting cultural heritage (historic gardens, built heritage, presentation of works of art). Besides the seasonal change in the appearance of the vegetation our gardens offer a regular and ever extending range of programmes (technical guided tours, lectures, concerts, exhibitions) to visitors and provide a pleasant recreational environment both for young and old. The number of more than 2 million people visiting annually our member institutions proves that our gardens are popular destinations of ecotourism. In 2017, on the occasion of the 25th anniversary of the foundation, HAABG holds a Festive Assembly and organizes the 3rd Eastern & Central Botanic Gardens Conference – EastCentGard III. Furthermore, HAABG hosts the next semi-annual meeting of the European Botanic Gardens Consortium in the autumn of 2017, and a jubilee book has been published on Hungarian living plant collections introducing 45 member gardens of HAABG. H-1083 Budapest, Illés u. 25.